Priority Pixels offer a bespoke web design service to all business and industries in Devon. With over 15 years experience, designing and developing websites is second nature to our web design team. We are not just capable of creating engaging and user friendly websites. We also make sure your website is onsite SEO ready. This will give your new website the best possible foundation to ensure it's visibility across search engine results pages (SERPs). With our digital marketing expertise, we can also help promote your Devon business from the very start. Developing offsite SEO strategies the engage with your target audience and managing PPC campaigns that convert your websites visitors into leads is what we are good at. Understanding the level of determination and work that needs to go into each project, is something we pride ourselves on. From deadlines to budgets, we design and develop websites to meet our clients needs. Your will always have a dedicated project manager on hand, keeping you updated, from start to finish. 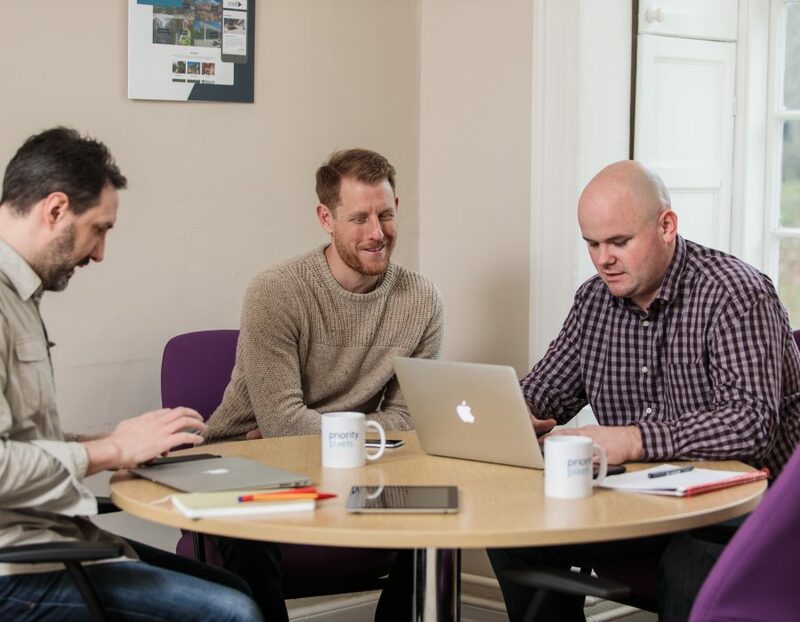 Our team will research your business, industry and customers so we have every bit of information they need to begin and deliver your project. We will always try our best to understand the problems so we can come up with an easy fix for them. We produce creative, functional and highly engaging website solutions, perfect for any business. Our websites are built with your audience in mind and designed to drive traffic to your business. Partnering a smart design with a slick user experience will help your website reach its marketing goals. 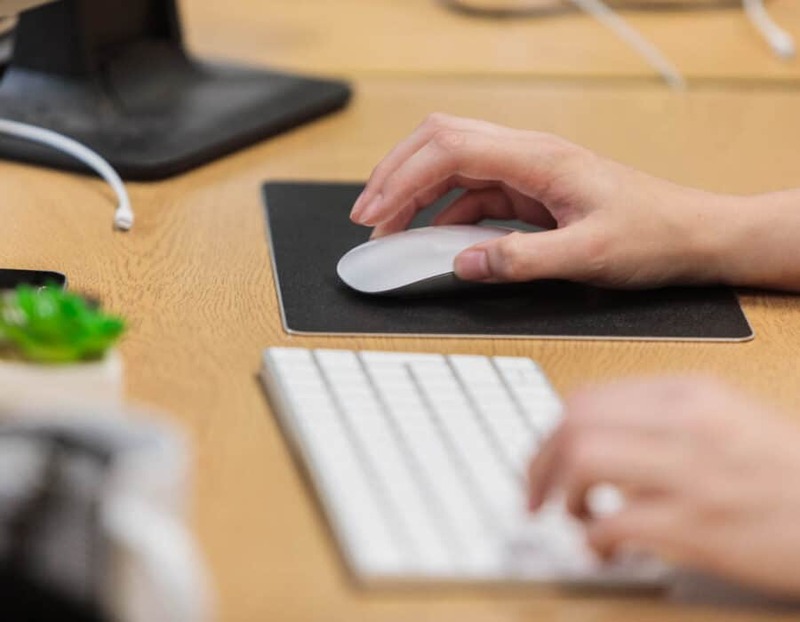 Working at the forefront of technology allows us to follow online trends, keeping us up to date with latest solutions that'll best fit your business and its goals. Interactive elements and social networking tools will ensure that your website is a success. As a result of this, we can create your business an outstanding online presence as well as, deliver proven commercial results. We understand that it can be frustrating to have no control when wanting to populate and edit your own website. That is why we build and design all of our websites using WordPress, the perfect content management systems. WordPress allows easy access and puts you in control of your website. Websites won't work without being securely hosted and constantly maintained. To stay visible and secure online, your website must be hosted and maintained. Our hosting services boast a 99.9% uptime and record daily back ups, and our monthly is maintained, all day, everyday. Our Devon office is based in Newton Abbot town centre. We have clients throughout the local area including Exeter, Plymouth, Torquay, Paignton, Brixham and Teignmouth. If you would like to meet to discuss a project we are more than happy to arrange a meeting at our office or at a convenient location for you. Please give us a call on 01626 245061 to arrange a suitable day and time. 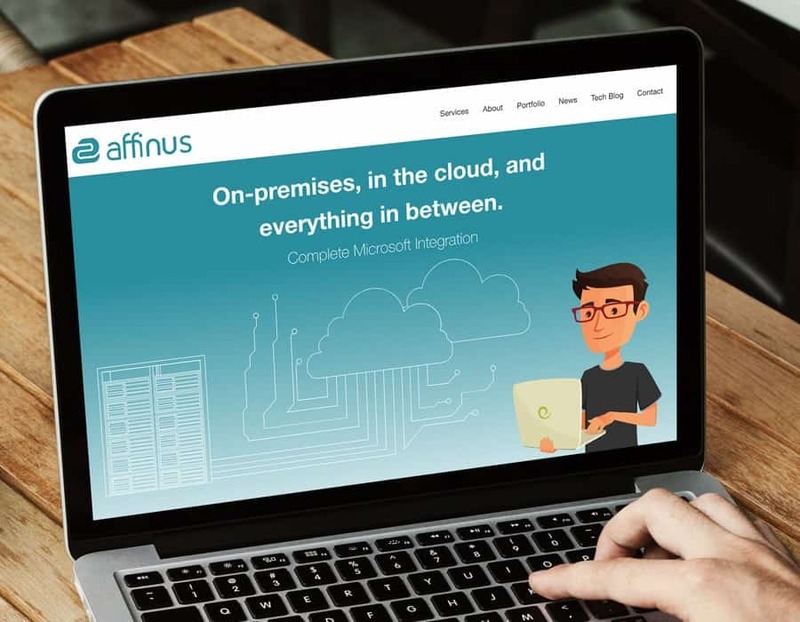 Founded in 2007 by members of the original Microsoft BizTalk development team, Affinus recently celebrated a decade of supporting Microsoft customers. Today Affinus retain a close working relationship with Microsoft and provide expertise to both Azure and BizTalk customers across on-premises, cloud, and hybrid environments. Affinus came to us looking for a new website. Their existing site had been online for a few years and was heavy on illustrations, light on content and did not reflect the companies service offering. 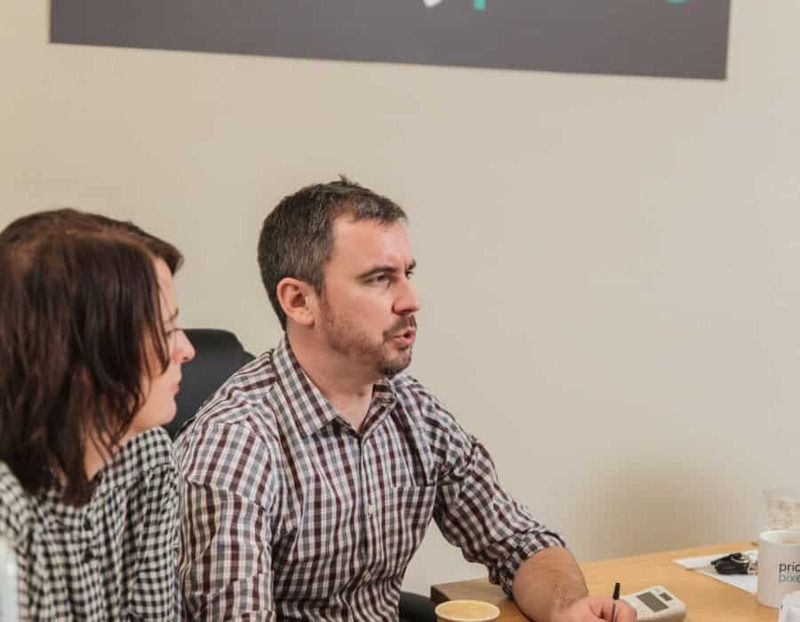 With a need to push their business forward Affinus were looking for a fresh approach and hired Priority Pixels to do the job. Since 1981, family-run business Aspect Windows have specialised in manufacturing and installing an innovative range of PVCu, aluminium, and aluminium composite windows, doors, and conservatories. With a commitment to producing and installing stylish, energy-efficient products, as well as their customer service and professional advice, Aspect have a deserved 35+ year reputation. And though their current website gave them the online presence they needed, it was looking dated and badly in need of a complete redesign, bringing it up to date to match their credentials as market leaders. 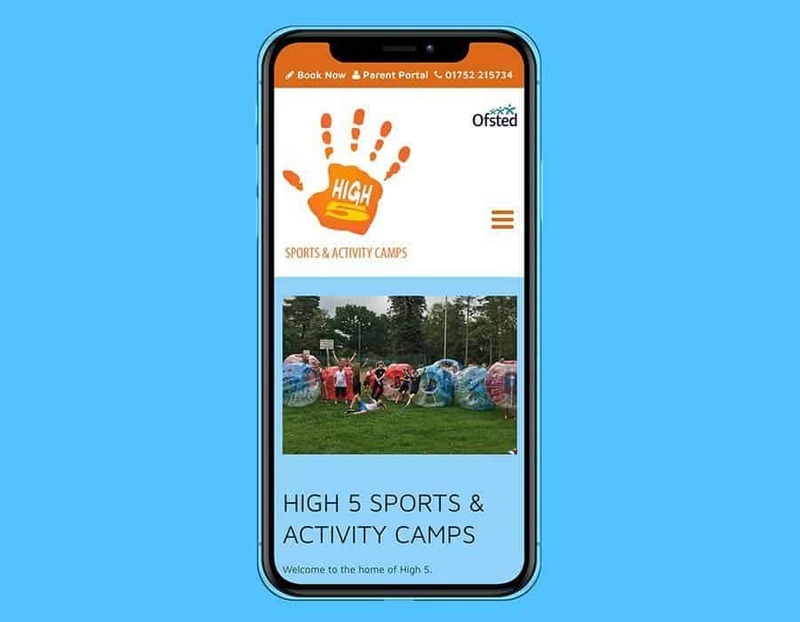 Designed to give keep children active when they’re off for school holidays and to give parents an easy childcare solution, High 5 Sports and Activity Camps have been running their sports camps since 2010. We helped design a fun and engaging website that helps children and parents alike, know what and when High 5’s sports and activity camps are happening during what school holidays. When Tom left his successful Royal Marines Commando career behind, he discovered that daily exercise helped him reacclimatise back into civvy street and gave him a focus. And with a new career in sales taking its toll, Tom created a 45 minute exercise routine that he used to destress after work. 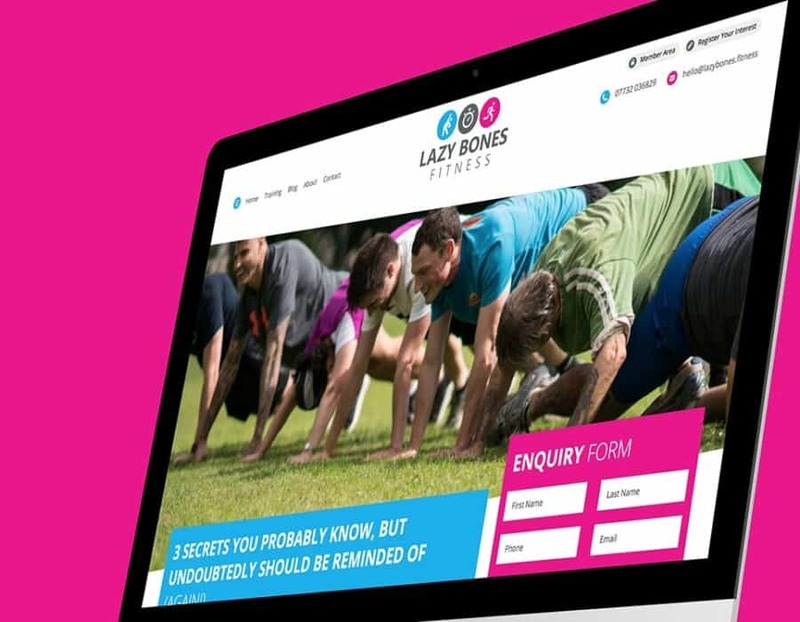 To help Tom launch his Lazy Bones Fitness venture in Devon, and create the brand he needed, the Priority Pixels team worked with Tom and looked at his main priorities, including a brand new web site, branding, copy and PPC advertising. Priority Pixels are a specialist group of website designers based in Devon. 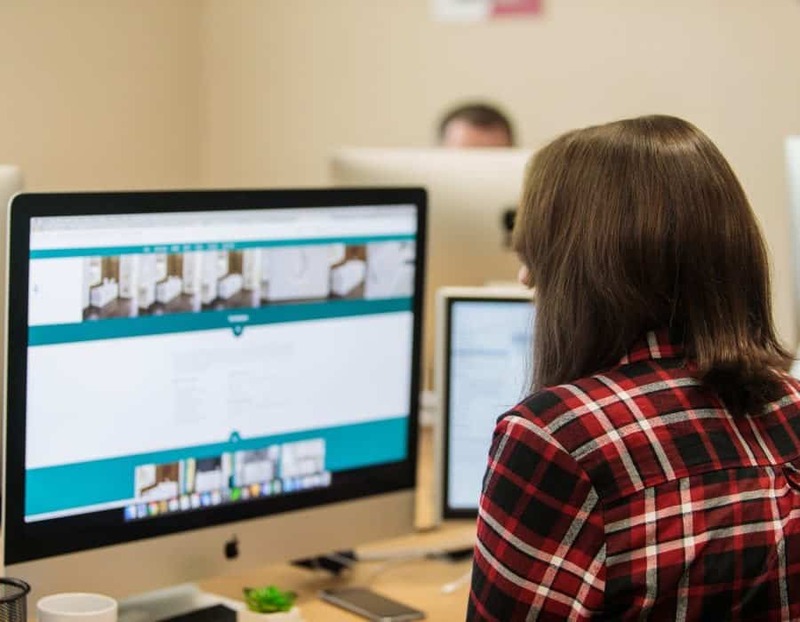 We have the ability to, not only design and build your website, but also to promote, support and maintain your business and website through search engine optimisation (SEO), pay per click (PPC) advertising and dedicated WordPress hosting. We put a lot of emphasis on customer service. Our team understand it can be frustrating looking for a web designer in Devon who is dedicated to both their client and their work. We ensure a project manager will guide you through the process of designing, building, maintaining and promoting your website. Priority Pixels' web designers are a specialist group, with a wealth of experience designing and building WordPress websites. We have worked with WordPress since its launch in 2003. It gives our clients the freedom to easily change their websites content, making WordPress the perfect content management system. The User Interface Design (UI) can make or break your website. Using attractive and intuitive designs, our in-house web design team will create fresh, clean, easy to navigate, mobile optimised website that will engage with your visitors in the best possible way and turn them into paying customers. 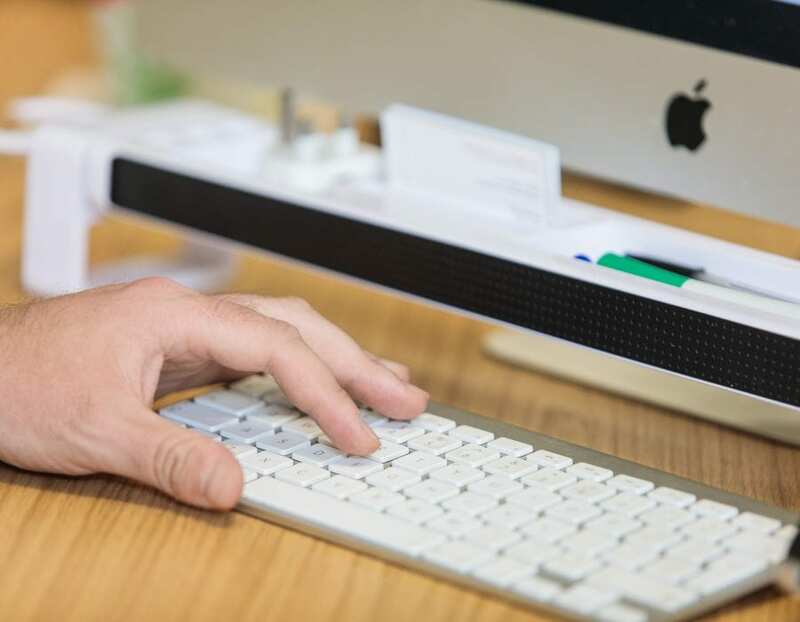 If you own a business in Devon and you're just too busy to look after your website, then our team can be on hand to manage and maintain it for you. Leaving you to run your business. We can also create and populate content, from copywriting to photography, to help keep your website fresh and updated. With GDPR coming into play in 2018, and businesses in Devon becoming increasingly anxious about their websites, we take data security seriously. We can offer a website security service, that'll ensure that your website is as secure as it can possibly be, putting your mind at ease. In the modern world we live in, you can access a website from more than just a computer or a laptop. This means websites have to be designed with more than computers and laptops in mind. We design all our websites to be responsive with any device regardless of screen size. This ensures that your website caters to all users across every platform. Whether they are looking at your website on a mobile, a tablet, a laptop or a computer, your website will shine. Since April 2018, Google have been putting mobile websites first They have made sure that a mobile version of your website is indexed first. If your website isn’t responsive or mobile friendly, Google will still index a desktop version of your website. However this will effect your search engine ranking. This is why we would always recommend making your website responsive. It needs to be modern and up to date but also your website must perform better in the search engines. All websites require a form of hosting in order to appear on the internet. But there are so many hosting options available. This makes it hard to choose what hosting is best for your business. You could quite easily be tempted by the cheapest option. But if this is the case, always bear in mind not all hosting is the same and you get what you pay for. For example, improving your websites loading speed will ensure your customers can navigate your website with no issues. This improves user experience which in turn improves conversion rates. However, this is something you can only get with a good quality hosting provider. If you use cheap and unreliable hosting that makes your website slow to load then your customers will most likely click right off of your website and not purchase anything. Here at Priority Pixels, we ensure our clients they will receive the best hosting service available. This allows their websites to stay online and run as fast as possible, all day every day. There is also no need to worry about losing any important data. Our hosting service will make sure your files and data are always secure. We create daily backups which allow you to restore your website with ease, should anything go wrong. If you are suffering hosting issues with your website then we also offer all our clients the opportunity to transfer their websites to our hosting. If you are unhappy with your current hosting service, don’t panic. Just contact one of our team and we can help move your website to our hosting free of charge. I’m looking for web designers in Devon, can you help? Yes we can certainly help. 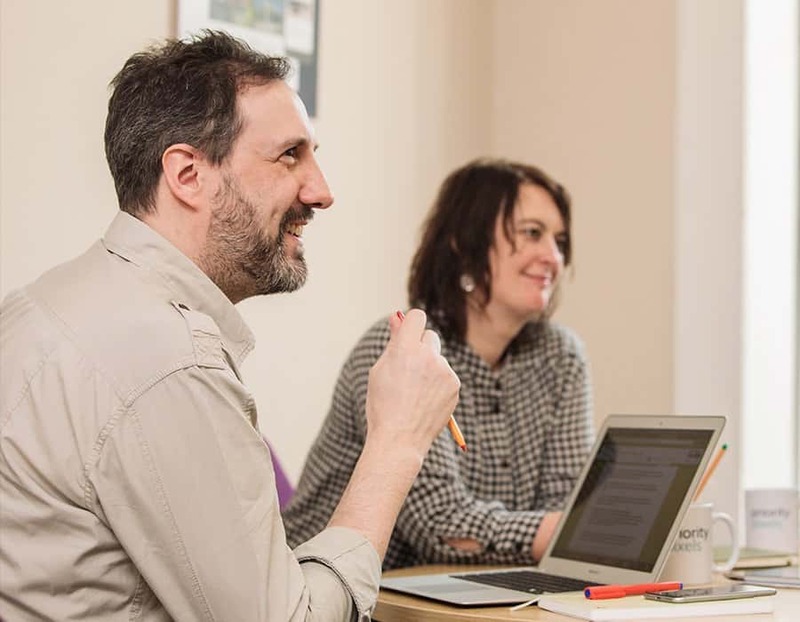 We have clients all over the country but if you are looking to work with local web designers we can arrange a meeting at our Devon office or visit you at your premises. We are happy to work by email, phone or face to face, whatever works best for you. The cost of a website is determined by many factors. Websites range in style and size. You may only need a simple one page website, or you may need a complex e-commerce website with several thousand products. The amount of designing you need can also impact on costs. It is always best to create a wish list or a brief so that we can give you accurate costs. Website hosting allows individuals and businesses to display their websites on the Internet. Websites are made up of various files containing the code and databases needed to display the website correctly on a users browser. These files are stored on computers called servers. Servers are kept on 24 hours a day, 365 days a year to ensure your website always remains online. We offer a quality web hosting service, which will keep your website, not only live, but as safe and secure as possible. Your computer connects to a websites server via an IP address, which is long string of numbers. A domain name is a friendly version of this IP address, so that users can easily remember and identify a website. You need both a domain name and hosting for your website to work. My website has been hacked, can you help? Definitely! Our web designers have a huge amount of technical knowledge. We don’t just build websites, we understand how they are put together from the database to the front end. If your website has been hacked please get in touch, we can conduct an audit and either deal with the hacked content there and then or at the very least best advise you on the next steps. We build all of our websites on the WordPress open-source Content Management System (CMS). We use the Advanced Custom Field plugin to tailor the back end of the website, ensuring all of our clients can edit their own content with ease. No HTML knowledge required! I don?t like my current web designer/developer, can I switch to Priority Pixels? If you aren?t happy with the quality of service you are receiving from your current web designers/developers, then we are more than happy to help out. We have a number of clients that move from other web designers and agencies to us, because they feel they aren’t getting the service they deserve. We can even help transfer your domains and hosting to us. 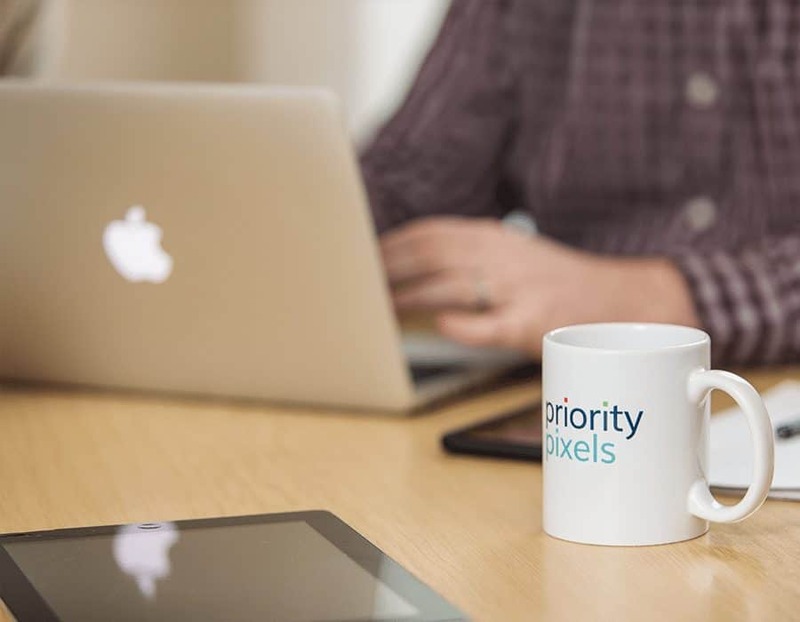 Customer service is very important to us here at Priority Pixels, so if you are thinking of moving your website elsewhere please have a chat with us first to see how we can help. Priority Pixels have done various work for me over a four year period. I've always been delighted with the service. Response times are always excellent, correspondence courteous and foremost the work is exemplary. Priority Pixels helped bring the Lazy Bones Fitness into reality. The team go above and beyond in helping their clients and we would never go anywhere else. I can recommend the team 100%! Have worked closely with this company on a number of projects and have never been disappointed. Superb design work and technical knowledge make them an excellent choice for all digital media solutions.